Off the plan properties can look appealing. I get it! I find myself gazing into the brochures and television adverts– getting lost in the wonderful images of happy families feeding ducks in the park. The young, urban hipsters holding their freshly brewed, single origin lattes in the funky café that will open in the new development. Are off the plan properties a good purchase? It’s a tough question with no right or wrong answer. This article provide a rundown on the pros and cons of purchasing off the plan properties from my personal point of view. As always, please carry out your own due diligence on any property purchase that you’re considering. My thoughts are general in nature and are based on my own experiences and those of some of my clients. What are some of the positives of purchasing off the plan? If you’ve bought into a market that’s experiencing an upswing in growth then you might find yourself owning a property that’s worth more than you paid once it’s completed. Whilst this is rare – I have seen this occur with clients. Particularly those that purchased in Sydney before the recent upswing in prices – as well as some areas of Canberra. When this does happen – there are a few lenders that will consider the value of the property (rather than the purchase price) when deciding how much they are willing to lend. This can be great if you’ve only got a small deposit because the increased value may mean you avoid paying Lenders Mortgage Insurance (LMI). 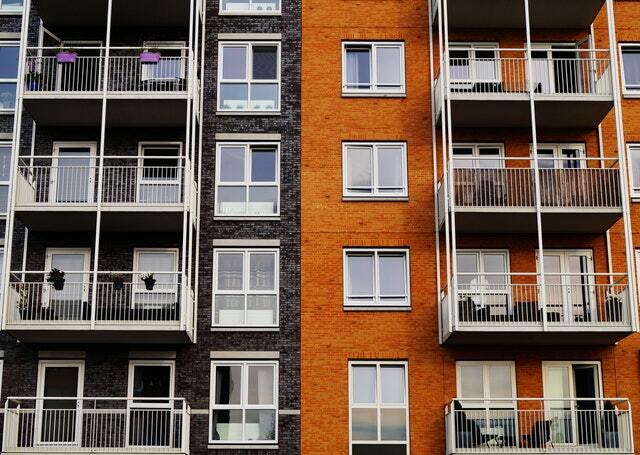 When a brand new property is purchased as an investment property – the owner might be able to claim a higher level of depreciation on fixtures and fittings as a tax deduction compared to an older property. Most states and territories provide some sort of concessional duty for First Home Buyers purchasing a new property. They usually provide a First Home Owners Grant as well. Check out what’s available in your area by getting in touch with your local State Revenue Office. In theory – if the property is new then there shouldn’t be as much need for immediate repair which will save you some money. This can be appealing – especially for first home buyers. You can get into the market now for a relatively small outlay of 5% or 10% of the purchase price – and then you’ll have the time between paying your deposit and settlement to continue to add to your savings and thereby reduce the amount you need to borrow. What are some of the negatives of purchasing off the plan? The single biggest risk with off the plan properties is valuations coming in lower than the purchase price. When this happens – the bank will lend against the valuation result rather than the purchase price. This means that the borrower will need to contribute a larger deposit to get finance approved. If they can’t contribute a larger deposit then they might have to pay LMI as the best result – or possibly forfeit the purchase and lose their deposit (as the worst result). Normally when purchasing a property you can make your offer “subject to finance” (unless it’s an auction purchase). This enables you to carry out your building/pest inspection and apply to the bank for finance approval. Once finance approval has been issued you can go unconditional on the purchase and pay your 10% deposit. With off the plan properties you don’t have that luxury because the bank won’t approve your loan until the property is built and they can carry out a valuation. Therefore, in this instance – you pay your 10% deposit upfront (without getting finance approval from the bank) and then apply for bank approval when the property is finally built. As you can see – this can be risky. What if the bank doesn’t approve your loan once the property is completed? You’re probably now asking “but can’t I get a preapproval?” If the anticipated completion date is within 3-6 months of signing the contract then you might be able to obtain a pre-approval from a lender but they will still require a valuation be completed on the property once it’s completed. They will also want to see updated supporting documents to verify that your income/liability situation hasn’t changed since the pre-approval was issued. Off the plan properties aren’t always completed on time. The proposed finished date is only an initial estimate and it’s not uncommon for the expected completion date to be extended by months (possibly longer). This can be a good or bad thing – if it’s an investment property then the extra time might be welcomed as you won’t be making any interest repayments on the loan until you settle. If it’s an owner-occupied purchase then you’ll probably be keen to get into your new home sooner rather than later. Just like a new car or any other new product – a new property generally commands a higher price. Just like that new car or product – the value tends to take an initial dip once that shiny newness wears off. Have you decided that off the plan is the right option for you? Ensure that the internal living areas of the property are larger than 50m2. Most banks are ok with 50m2 or above – whilst only a few have an appetite for anything with less. I hope you’ve found this information helpful. If you have any questions at all – feel free to get in touch.